This week I'm collaborating with the New Haven based vintage shop The Haven Collective. I've borrowed some of my favorite pieces and photographed them throughout the city of New Haven. Be sure and check out Monday's, Tuesday's, Wednesday's, and Thursday's posts as well! To finish up this collaboration, I have a little interview with the owner of The Haven Collective, Melissa Gonzales. 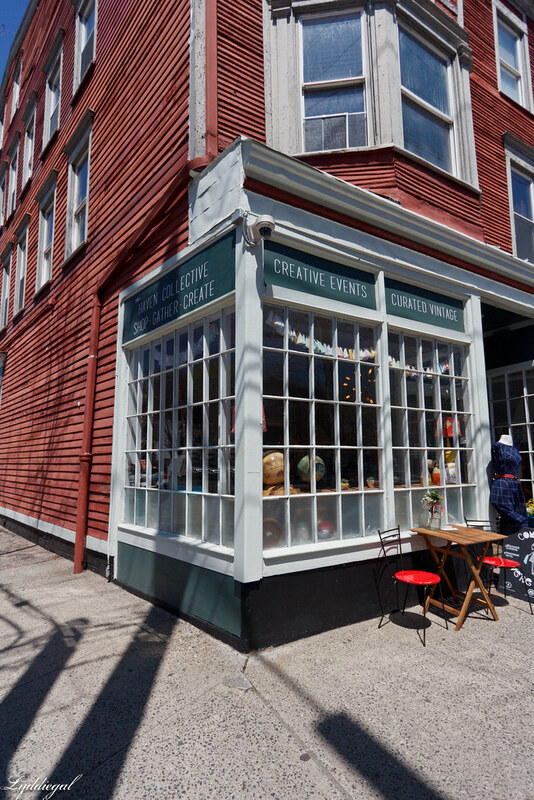 I hope you've enjoyed the posts this week, and I hope all of my local Connecticut readers have a chance to stop by 938 State Street in New Haven. Definitely shoes - we have so many great spring and summer styles. From colorblocked pumps to strappy sandals - we have the perfect finishing touch for just about any outfit! Getting to meet my customers face to face. Everyone who comes into the shop gushes about how great it is and I love hearing that feedback! Swedish Hasbeens clogs - any style. I've had a few in the shop - but never in MY size. Definitely fall - I love fall colors and the necessity of of layers means that you can mix and match prints, solids, and textures to create the perfect style. Also - boots - fall is perfect for boots! Da Legna - any pie, any time! The dress! wow - I absolutely love it - are you keeping it ? I have very much enjoyed your collaboration this week! 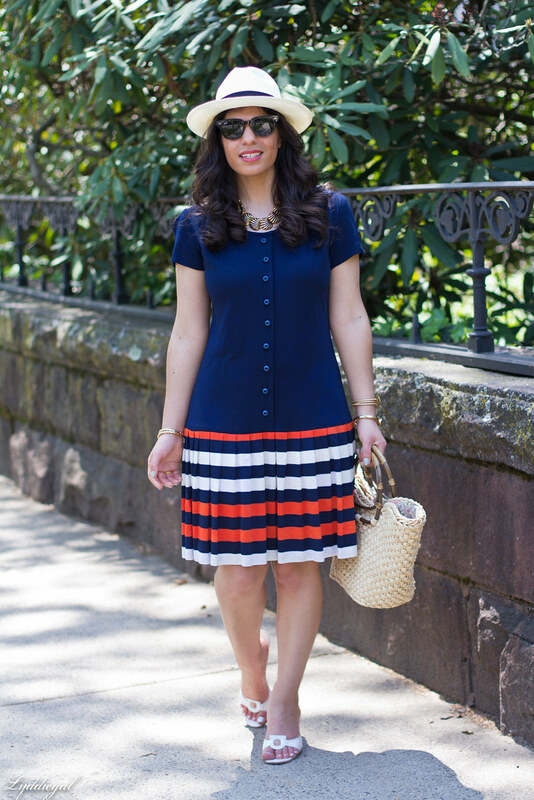 This last look is so perfect and seems so you! 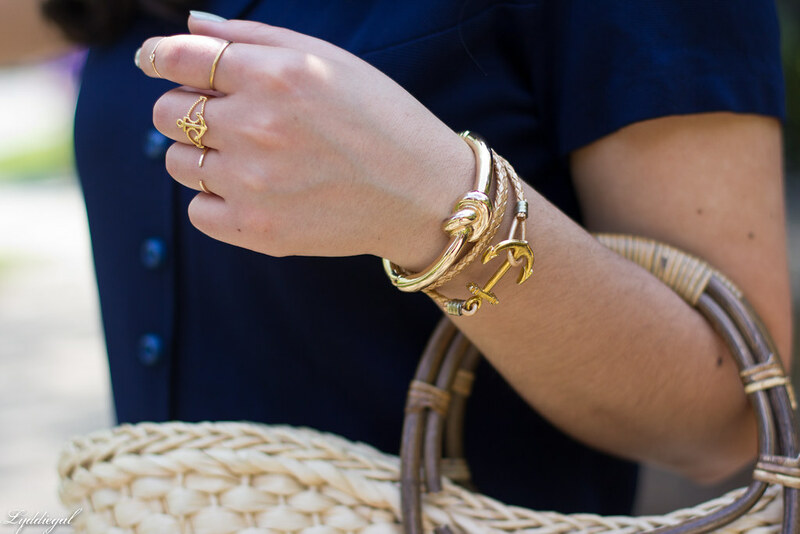 Nautical and cute! 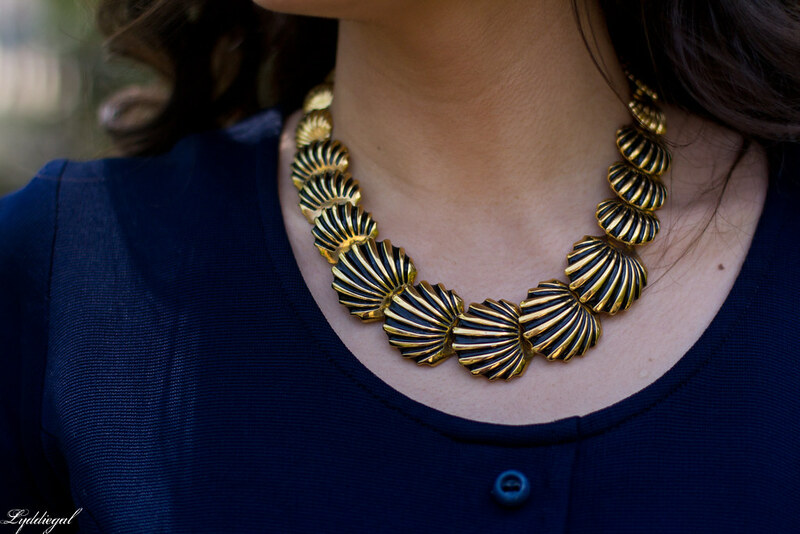 Love the necklace! 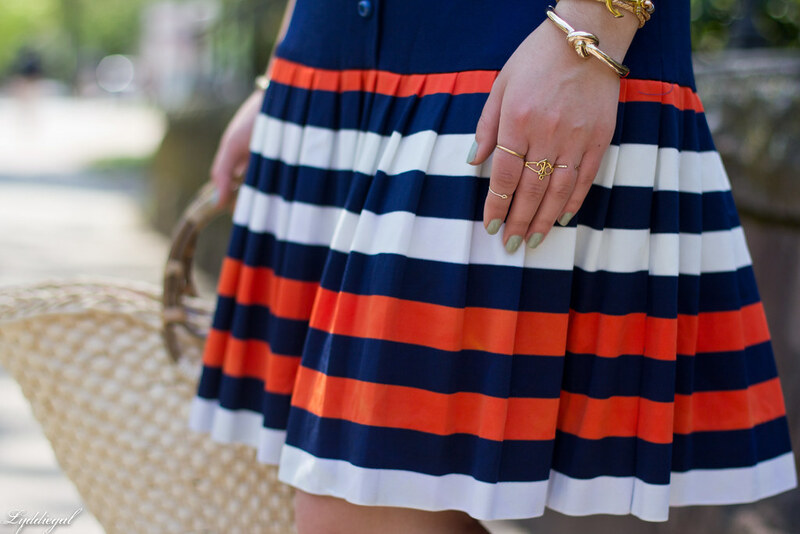 I love the stripes and pleats on the skirt of that dress! 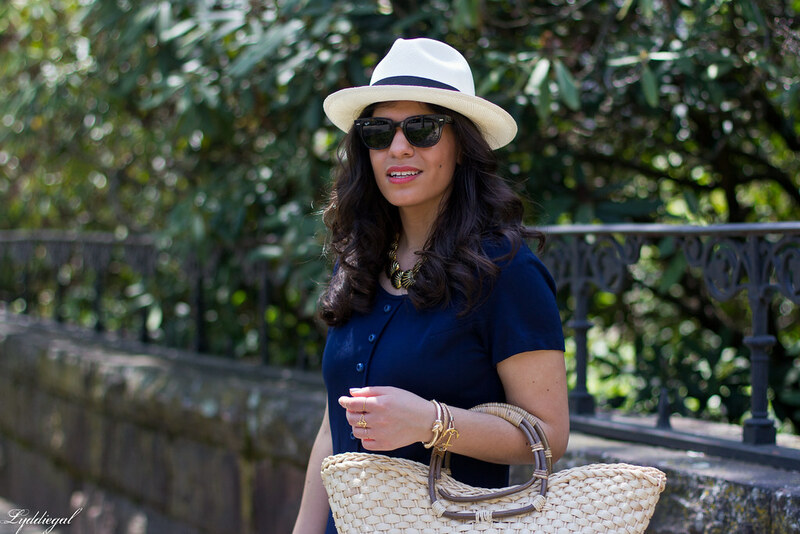 The hat and straw bag make it a great kick-off to Memorial Weekend look :) Enjoy your long weekend! Such a fun week of posts! Super Cute and perfect for You. Love the bottom part of this dress, the colors are so fun! I know most people think that they'd want to live in California because of the weather but I think your area is way prettier! Too bad I don't live in the area because this shop seems super cute! You look so pretty in this ensemble! 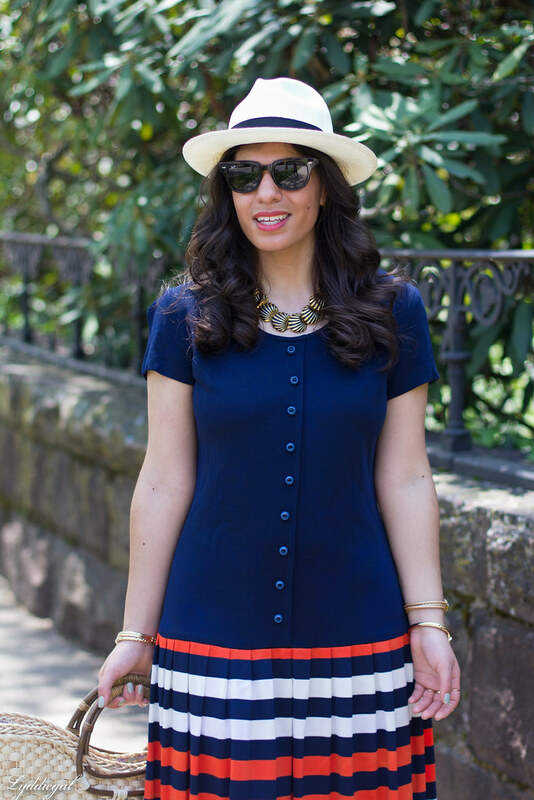 Love the dress and hat together! LOVE the handbag! I've been searching for one like that. 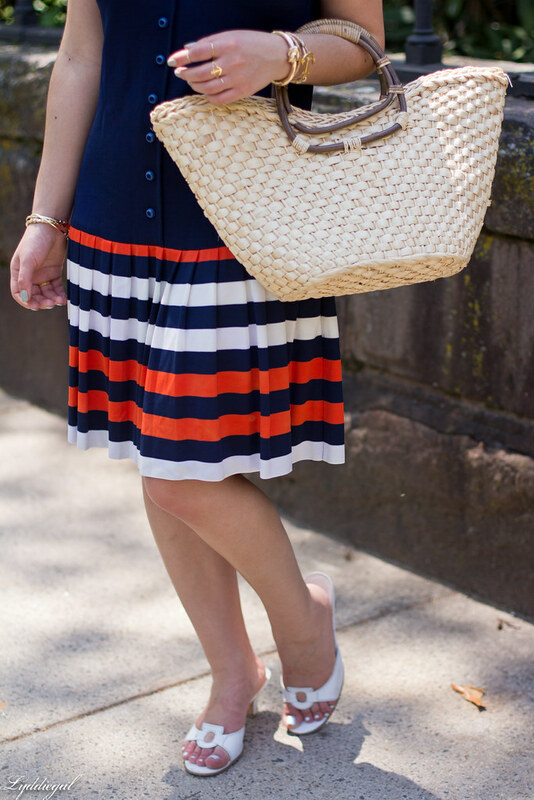 Adorable nautical dress and accessories! This was such a fun collaboration to do for you! 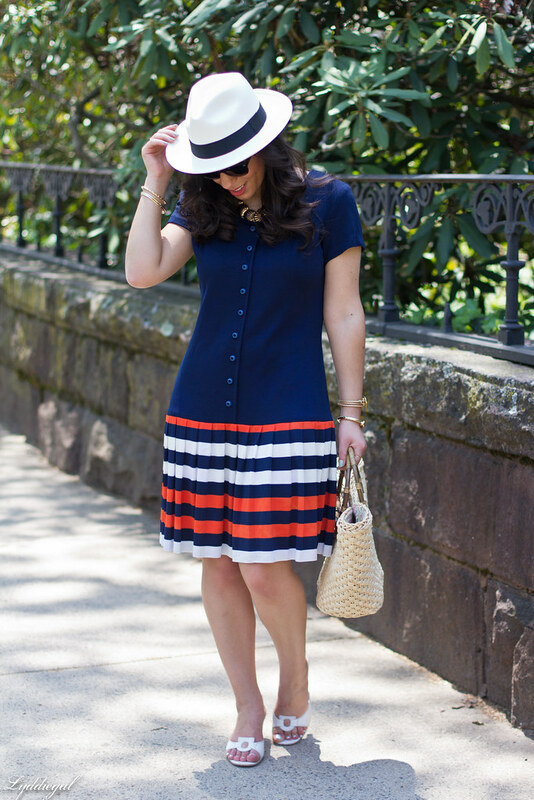 Love these stripes and how you accessorized with such perfectly seasonal accessories for summer! 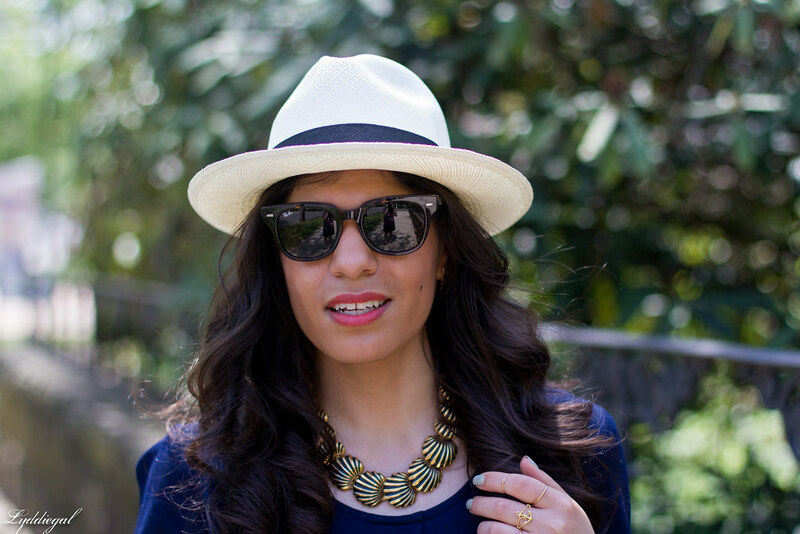 I love this easy chic, ladylike look!